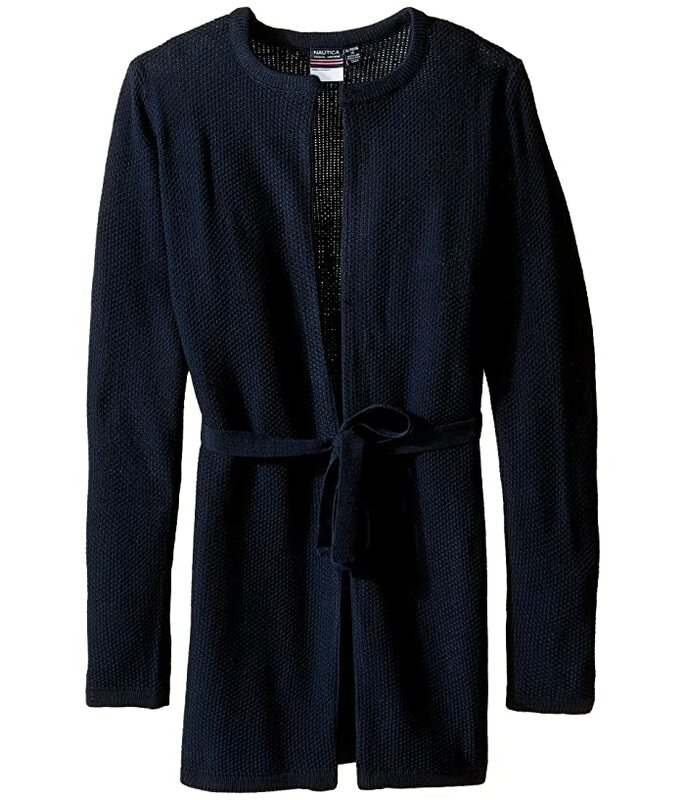 Add style to her school uniform with the Nautica™ Kids Seed Stitich Duster Cardigan. Lightweight, relaxed fit sweater flaunts seed stitching throughout. Removable belt ties at waist.